Gavin Darby to stand down as boss of the UK manufacturer in January 2019 after six - often fractious - years at the helm. Gavin Darby has proved a controversial chief executive and some in the investment community will cheer his exit from Premier Foods. Others will argue progress was made at the UK firm during his tenure. Premier Foods, the UK manufacturer, has revealed this morning (13 November) it plans to sell one of its best-known brands. Gavin Darby, the chief executive of Premier Foods, is to step down from the helm of the UK manufacturer after almost six years in the job. Premier Foods chief executive Gavin Darby saw off a shareholder revolt this week, winning the vote on his re-election to the role. But any relief over that result will likely be short-lived as the UK manufacturer continues to face the challenge of eking out sales growth from legacy brands in low-growth categories and paying down debts and a hefty pension deficit. Gavin Darby, the CEO of the UK's Premier Foods, has survived an attempt to unseat him by activist investors. Ahead of its crucial AGM vote today which will determine the future of its CEO Gavin Darby, the UK's Premier Foods has suggested it is open to selling assets. Premier Foods has said the company's largest shareholder, Japan's Nissin Foods Holdings, is to back the UK manufacturer's under-pressure CEO Gavin Darby when he is up for re-election next week. Oasis Management, the Hong Kong-based activist investor trying to unseat Premier Foods CEO Gavin Darby, has doubled its stake in the UK business. Two more major Premier Foods shareholders have reportedly indicated they will vote against the re-election of the UK manufacturer's CEO, Gavin Darby, at the Mr Kipling maker's AGM next week. 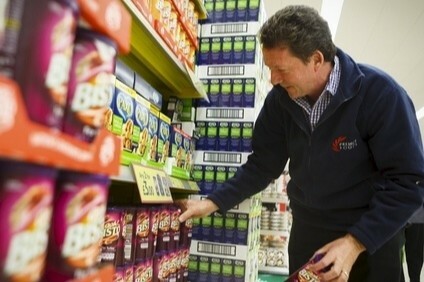 It would be a surprise Premier Foods' under-fire CEO Gavin Darby is not re-elected at the UK group's AGM on 18 July but activist investor Oasis Management has brought to the fore concerns about the manufacturer's performance. The market will be watching closely if Premier moves forward under its current CEO. Oasis Management, the activist investor which is trying to unseat Premier Foods plc CEO Gavin Darby, has opened a new front in its battle with the UK food company. Oasis Management, the Hong Kong-based activist investor trying to unseat Premier Foods CEO Gavin Darby, is asking the UK manufacturer's largest shareholder, Nissin Foods Holdings, to abstain in his re-election vote. Premier Foods plc remains locked in a war of words with activist investor Oasis Management, the activist investor trying to unseat the UK manufacturer's CEO Gavin Darby. The UK's Premier Foods has written to shareholders ahead of a crucial annual general meeting stating its support for under fire CEO Gavin Darby. The UK's Premier Foods has told the London Stock Exchange that one of its major shareholders, activist investor Oasis Management, is to vote against the re-election of Gavin Darby as CEO.